Through its contractor Ellwaste, Council provides garbage, recycling and green waste collection throughout our municipality. 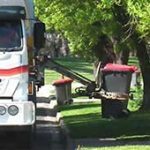 Domestic garbage and recyclable collection services. 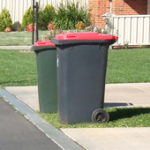 Bin charges, green waste and changing your bin service. 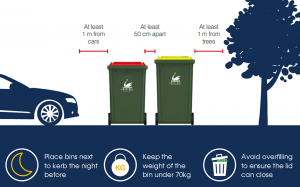 A list of materials that can go into your red, yellow and green bins. 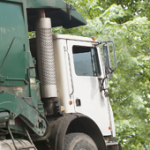 We do not provide garbage or recycling collection services for commercial or industrial sites. 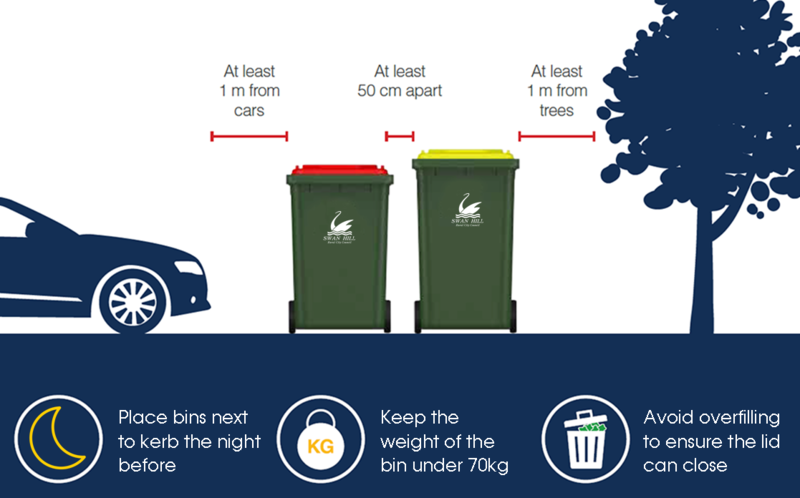 Collection of your bins – will be anytime between 6am and 4pm on the designated day of your collection. Lid should be closed – Items placed into the bins must fit into the bin. If your bin is – too heavy, contaminated (applies to recycling and greenwaste), overloaded or stacked high with bags of waste it will not be collected. Excess waste – must be disposed of separately at the landfill or kept in a separate bin in your yard until your Council bin is empty or ask your neighbour if they have room in their bin for your waste. 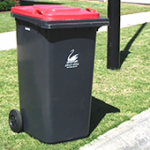 Blue lid bins or bins that do not have the Council logo – are not to be put out for collection as they are not allocated Council residential bins and will NOT be collected.